The company owns the Pangu Plaza, a dragon-shaped hotel, office and mall complex that stretches the length of half a dozen football fields and is featured in "Transformers: Age of Extinction,"
BEIJING – A Beijing property developer said Saturday it has terminated cooperation with the new “Transformers” movie, wants Paramount Pictures to make edits to it and is asking China to suspend screenings of the blockbuster film. The company owns the Pangu Plaza, a dragon-shaped hotel, office and mall complex that stretches the length of half a dozen football fields and is featured in “Transformers: Age of Extinction,” the latest installment of the hit franchise. The Beijing Pangu Investment Co. Ltd. said in a statement emailed to The Associated Press that Paramount and two Chinese associate partners failed to fulfill their obligations in a sponsorship deal. “The loss of rights and interests not only caused the Pangu company’s original business plan to fail, incurring huge losses, more seriously, it has affected Pangu Plaza’s image and reputation,” the statement said. Pangu said it is suing its Chinese partners for contract fraud and demanding that Paramount delete scenes from the movie that feature images of its logo or properties. It said it has also asked the Chinese government’s film regulator to suspend or stop screenings of the movie, which is due to open in Chinese cinemas June 27. Pangu says it provided at least 10 million yuan ($1.6 million) in funding and that its Chinese partners never delivered on pledges to hold the movie premiere at Pangu’s hotel and feature images of its property in trailers and movie posters. Instead, the movie’s worldwide premiere was held in Hong Kong on Thursday and was attended by stars including Mark Wahlberg and the good-guy robot, Optimus Prime. The film’s debut in the southern Chinese metropolis ahead of its launch in New York next week is the latest sign of Hollywood’s increasing focus on China’s booming film market. China is the world’s second-largest film market, with box-office revenues up by nearly a third in the first quarter after rising 27.5 percent last year to $3.6 billion. 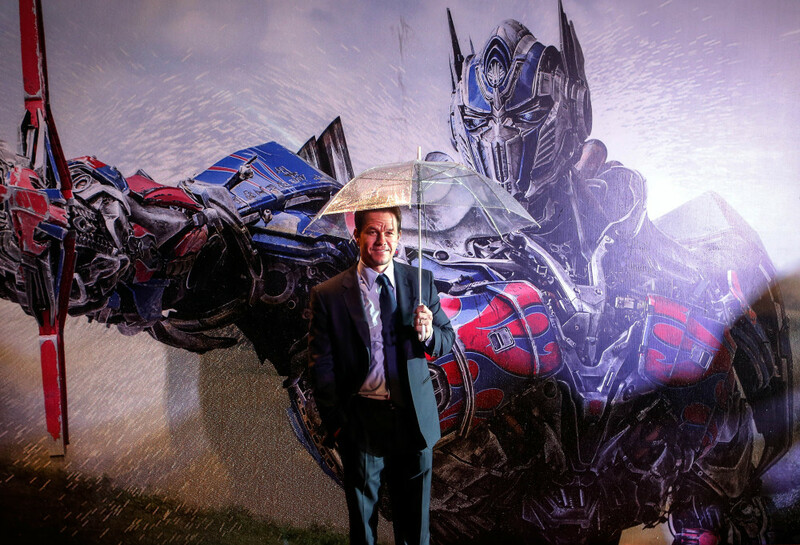 The property developer also said its Chinese partners told Pangu it would be allowed to manufacture and sell “Transformers” merchandise authorized by Paramount and hold an exhibition of the movie’s filmmaking equipment on its premises for at least eight months. The Pangu statement, however, did not say whether Paramount was aware that its Chinese partners were making such promises. It said the hotel hosted senior executives from Paramount and Jiaflix as well as the movie’s director Michael Bay and its crew, for whom the company facilitated the shooting of the Pangu Plaza and surrounding areas. Paramount did not immediately respond to an emailed request for comment while calls to the Chinese partners named in Pangu’s statement – Jiaflix China and the Beijing Chengxin Shengshi Sports Culture Development Company Ltd. – rang unanswered. In a separate statement later Saturday, Pangu said it was contacted by executives from Paramount and the U.S. parent company of Jiaflix – which provides movie-streaming services in China – after it announced the contract termination. Pangu said there were significant discrepancies between the contract it signed with the two Chinese partners and a contract that Paramount signed with them. The Chaoyang District People’s Court in Beijing, where a lawsuit has reportedly been filed, as well as the State Administration of Press, Publication, Radio, Film and Television did not answer calls on Saturday. Other scenes in the movie that were shot in China feature the Great Wall in Beijing and the southern factory hub of Guangzhou, where a nefarious tycoon played by Stanley Tucci collaborates with Chinese actress Li Bingbing’s biotech CEO character to produce robots based on the metal Transformers are made of. Four other minor roles were filled through a talent search on Chinese TV.